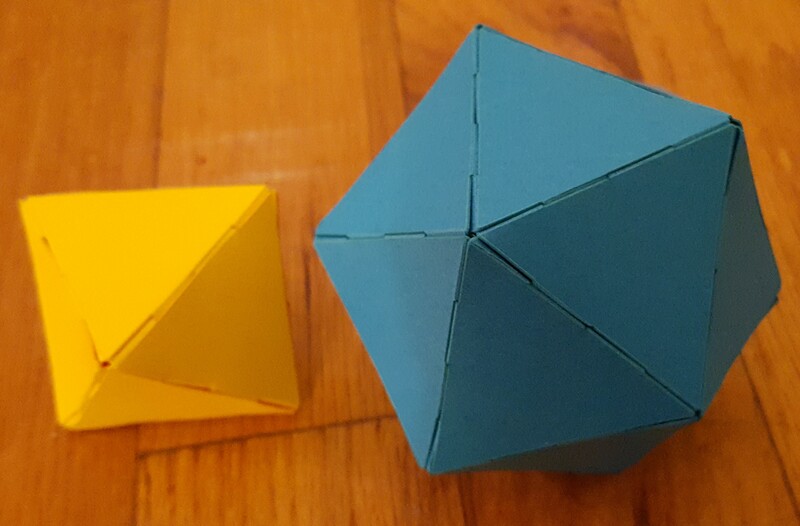 I was recently, for reasons that will become clear over the next few weeks, interested in creating constructions that use very many triangular faces. 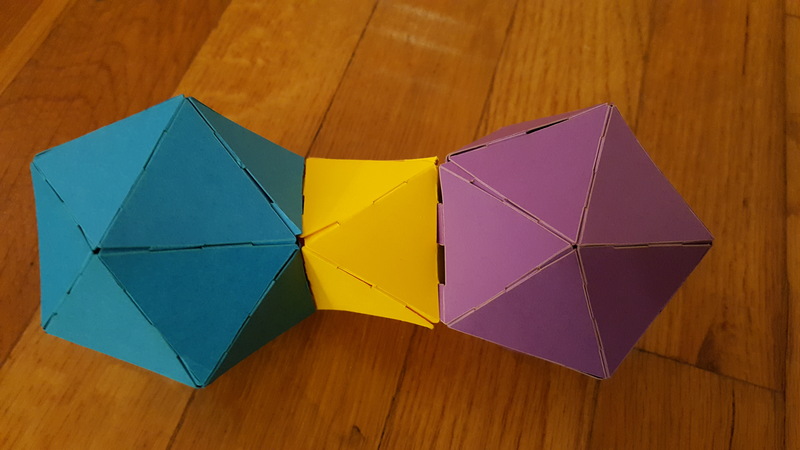 So naturally I needed a way to prototype and design such structures, and the first thing that came to mind for quickly building something that involved lots and lots of interlocking triangles was a product called PolyPuzzle. 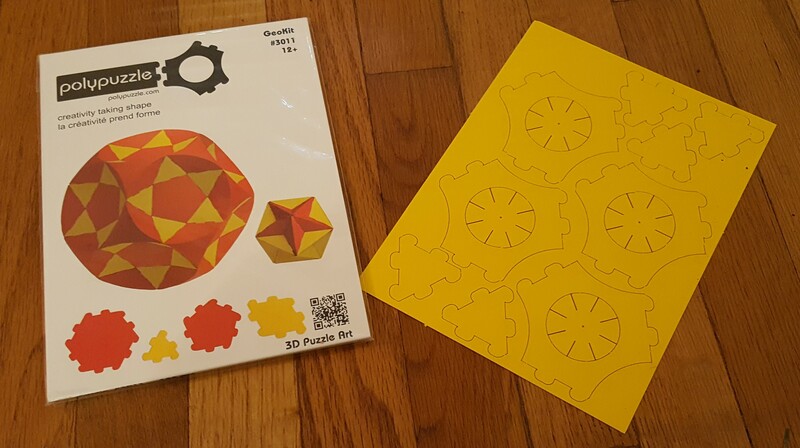 PolyPuzzle consists of pre-cut shapes made from heavy paper, with tabs that allow you to interlock the shapes side-by-side, like puzzle pieces. 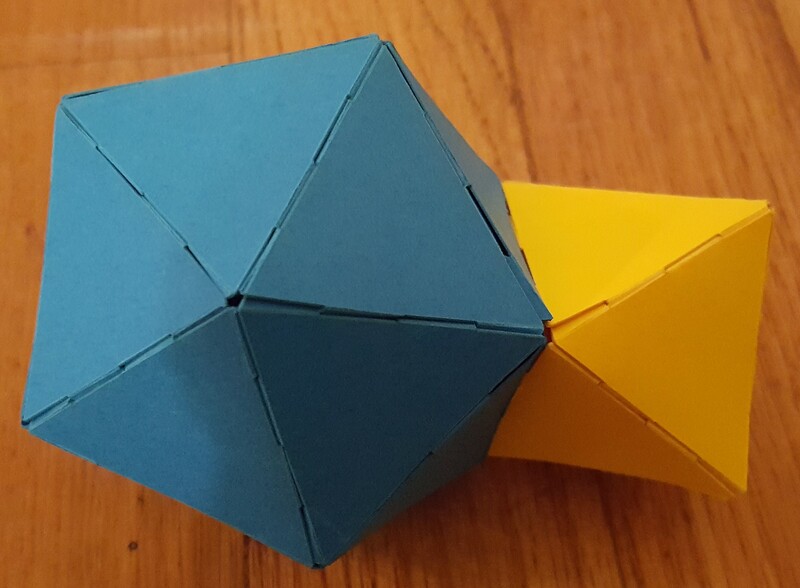 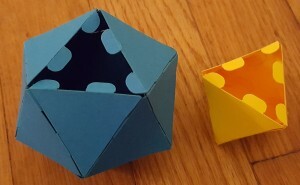 Indeed, I was able to link them up to create such familiar and basic shapes as a regular octahedron (in yellow) and a regular icosahedron (in blue). 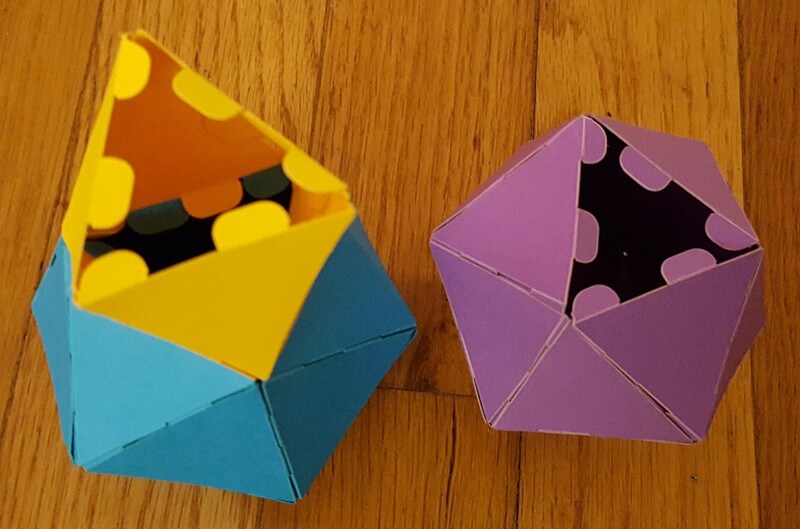 And I was inspired by the appearance of the all-but-one-face versions of these polyhedra — like jaws waiting to bite onto something — to connect the two solids, like so. 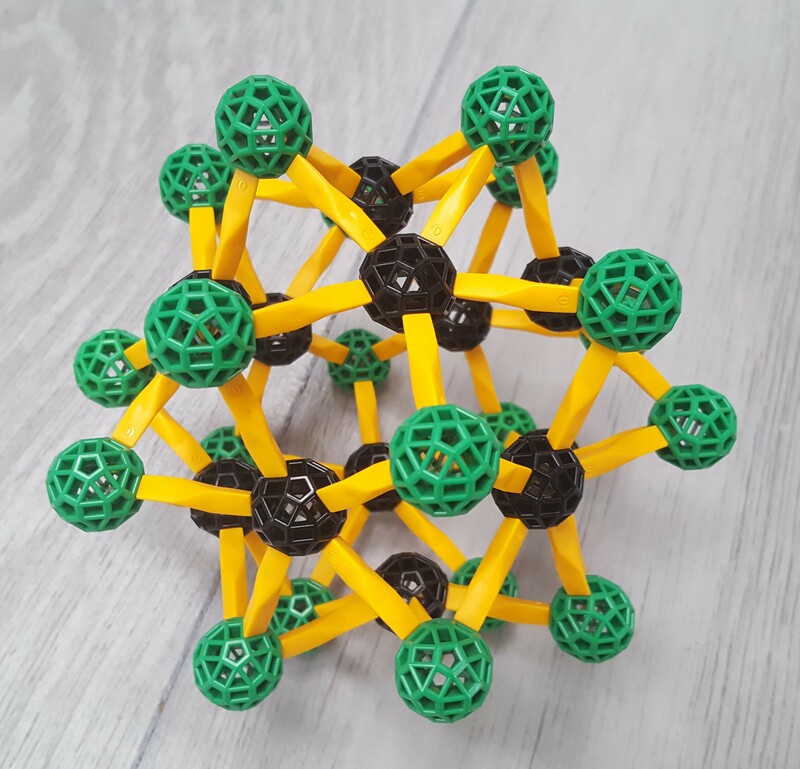 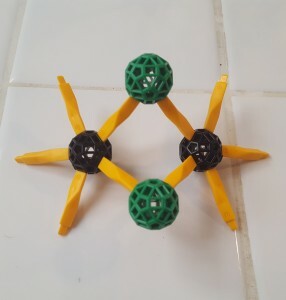 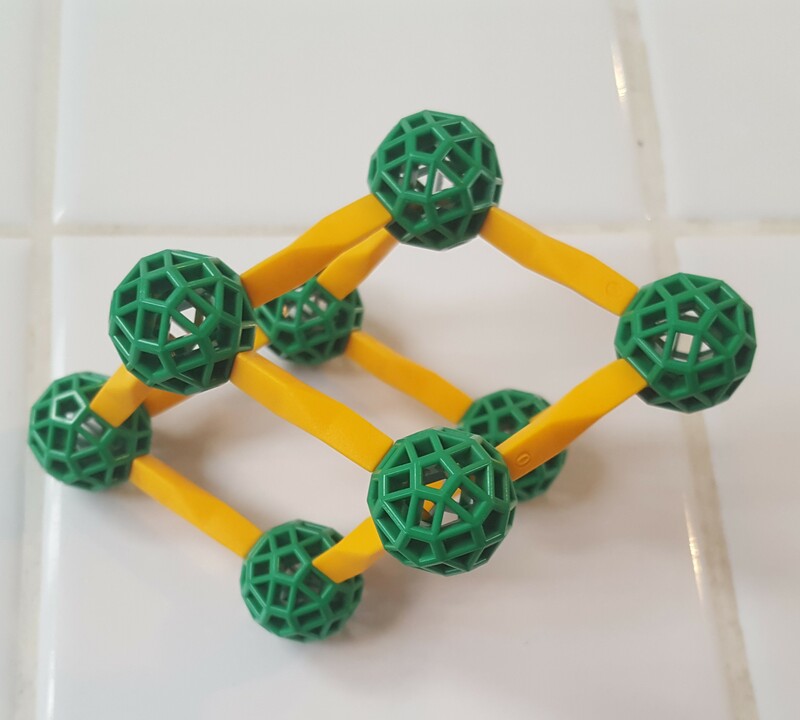 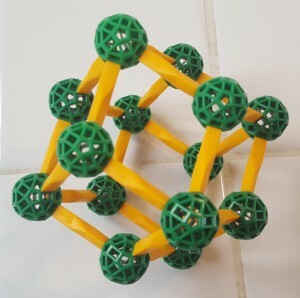 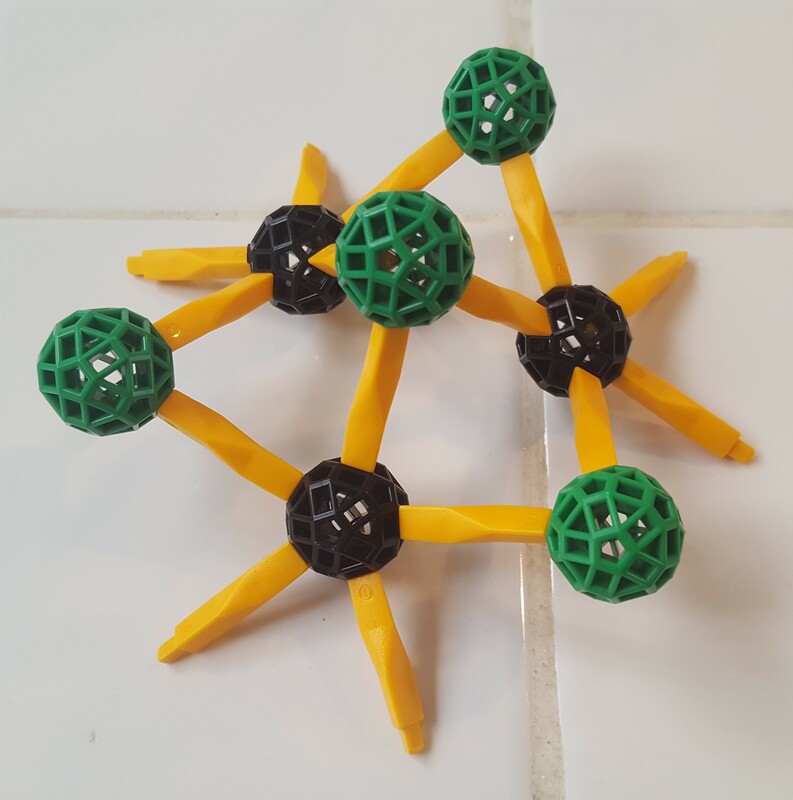 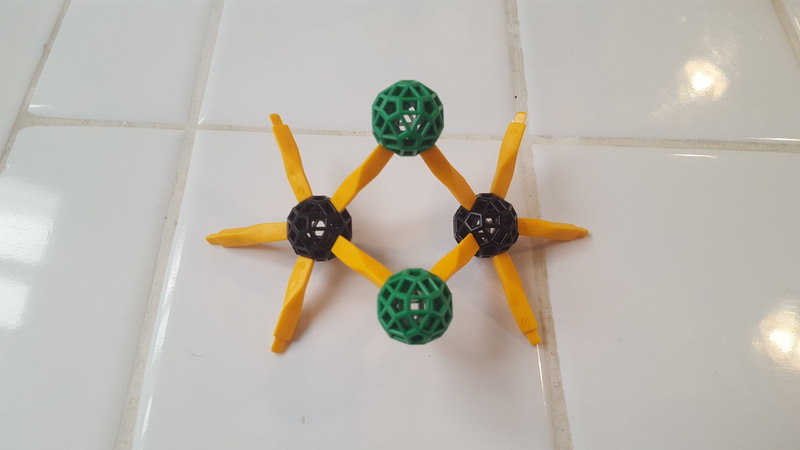 Now, this picture was extremely reminiscent of another product for geometric constructions, namely Zometool, which also has ball-shaped nodes that can be connected together like barbells. 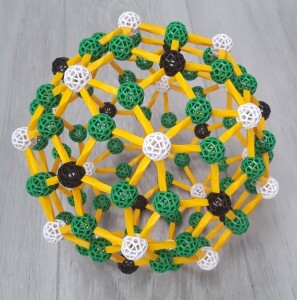 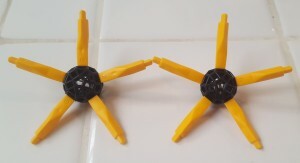 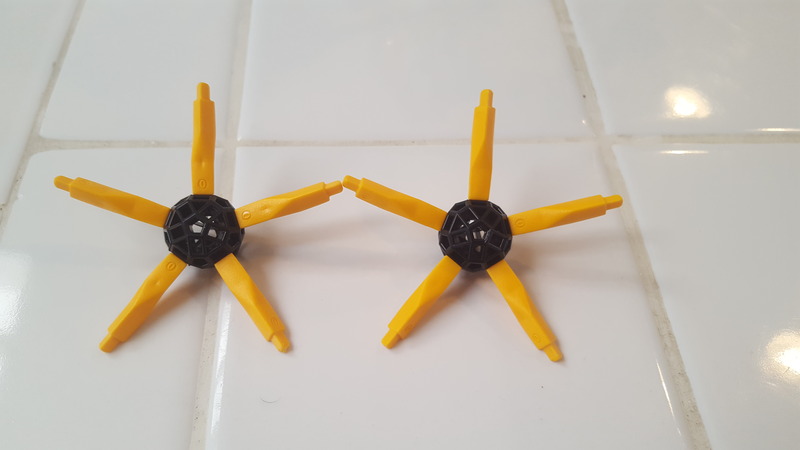 And a further bit of reflection made it clear that if one only uses the triangular “yellow lines” of Zometool, you can construct the exact same overall structures as the icosahedra I’d built connected by octahedra. This correspondence holds because the twenty triangular faces of the Zometool hub are at exactly the same angles as the faces of an icosahedron (in fact, the zometool hub is simply a cantellated icosahedron), and because the yellow Zometool strut has the same 60-degree rotation between its oppposite ends as the octahedron does between its opposite faces (arising from the fact that the regular octahedron is also the triangular antiprism). However, one positive outcome of building the enneacontahedron was that it showed that five octahedra could be connected to an icosahedron so that it would put neighboring icosahedra at the vertices of a regular pentagon. 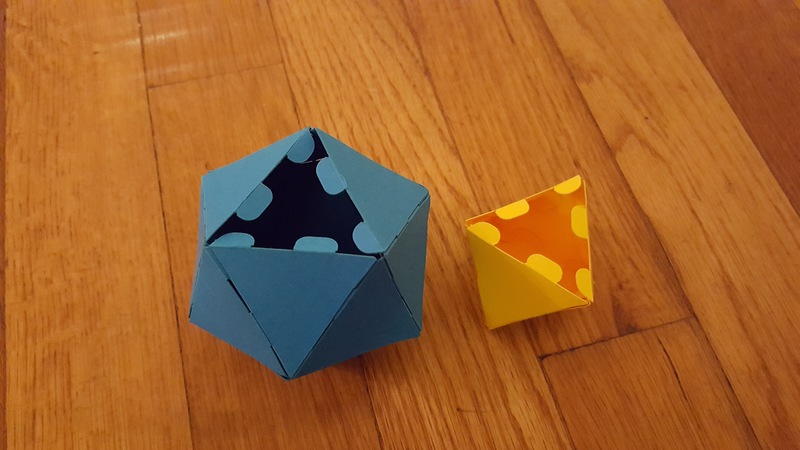 Moreover, it turns out that you can connect two of these pentagons along an edge, and even three at a vertex.